Select if you're male or female, Put in your height, weight, age & your activity level before starting this plan and then Click on the button that says "Tell Me How Much I Need To Eat To Lose Weight"
If you're Eating MORE Than calories per day then you WILL Not lose weight. Anyone over 200 pounds has a metabolism that burns at least 2000 calories a day meaning if they eat 2000 calories they will stay at 200 pounds or if they eat less than 2000 calories they will lose weight even without exercising. Your metabolism gets slower as you lose weight because it doesn't take much energy or your metabolism doesn't have to burn so many calories to maintain a smaller body. For example, at 200 lbs. you'll lose weight every week on a 1500 calorie diet because your metabolism burns at least 2000 calories per day vs. at 135 lbs. your metabolism may burn less than 1500 calories per day meaning you'll lose weight slower on a 1500 calorie diet. Why do I still have belly fat after losing all this weight? Start Here for a beginner workout program. Use this workout if you have a busy schedule. 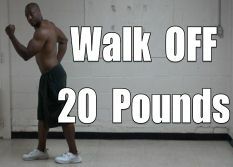 Also see How to Tell if You're Working Out Hard Enough to Lose Weight & DO NOT eat back the calories you burn exercising! It's very possible that you could be gaining a lot of water weight or false fat preventing you from losing weight. Drink at least 1 liter of water daily to prevent water weight gain. Use a food journal to help you find out which foods may be causing you to retain water because of certain food allergies unique to you. Avoid these salty & sugary foods as much as possible because they make you retain water. See How to Get a Flatter Stomach in a Week for more on losing excess water weight. If you look slimmer, your clothes aren't as tight or your body fat percentage is lower but the scale says you haven't lost any weight then that means you have gained muscle weight. Gaining muscle isn't a bad thing because it increases your fat burning metabolism & since 1 lb. 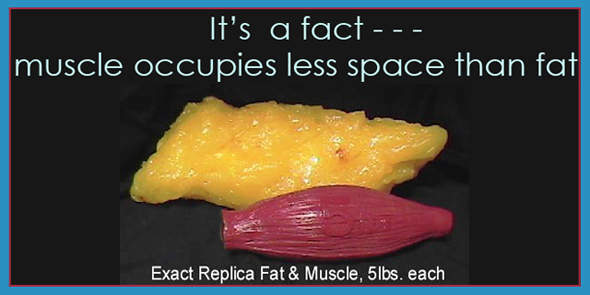 of muscle takes up less space than 1 lb. of fat you'll see more results in the mirror than on the scale. Are you on any Drugs that may cause you to gain weight? Antidepressants, Steroids like Prednisone, Migraine Medications like Depakote, Antihistamines like Benadryl, Sleep medications & Birth Control can all make it tougher for you to lose weight. See your doctor if you gain weight while on a new drug even though you know for sure you're eating right and staying active. This all doesn't mean you should STOP taking the drugs you need to help your condition but at the same time… If you're trying to lose weight it's best to ask your doctor for alternative medications. How Hard Do I Need to Workout to Lose Weight? How Fast Can I Lose Weight? your BMR cant be 1271. your metabolism burns at least 10 calories per pound you weigh. do you know if it has anything to do with the water retention still lingering from the pill? Hello. I’m a 5’8 female, 32 years old, and currently at 241.2 after gaining SO much weight with a hypothyroid issue following pregnancy. But according to my blood work yesterday, it’s finally under control with my thyroid function back in normal range. My question is this - for the past week now, I’ve been religiously counting/tracking calories at 1290 per day in the MyFitnessPal app. I’ve also been walking 6 out of the 7 days this week - 3 miles per day (and NOT eating these additional calories, but sticking with the 1290 allotment). I weighed myself this morning (after one week of strictly following this plan), and I have lost absolutely nothing. Not even one ounce. How is this possible? I HAVE been eating the majority of those calories in one meal - right before I go to bed. But should that really matter as long as I’m sticking to the 1290 calories daily? This week I’ve typically eaten around 300-400 calories throughout the day, and then the remainder of my calories right before bedtime. I’m not drinking a lot of water, so maybe that’s an issue? Perhaps I should go full-force with the intermittent fasting and eat ALL my calories in one sitting? Should I NOT eat right before bedtime? Even with all these what ifs, as heavy as I currently am, shouldn’t I have lost SOMETHING at least? I’ve never had trouble losing weight in the past. Please help! I had a similar problem. 5’6” 200 pounds. Was eating 1200-1300 calories and not losing weight. Friend suggested I eat more. Went to 1600 calories a day and have been losing weight 3 pounds a month since then. Weird but true. at the moment I'm on a 13-day metabolic diet I'm in the 7th day and I lost about 3 kgs. I know that diet is not the best thing to do but I need to lose weight as fast as possible. In the past I played sports daily and I followed my diet but instead of losing weight I won. I do not know what to do I feel that no matter what I do I could not lose those kgs. Hi, I am 14, and I am about 5'4. I weigh 61.1kg (134 pounds), and i just can't lose the last 9 pounds at all. I am eating 1000 calories a day, exercising once everyday and doing a HIIT workout twice a week (I will do more now). 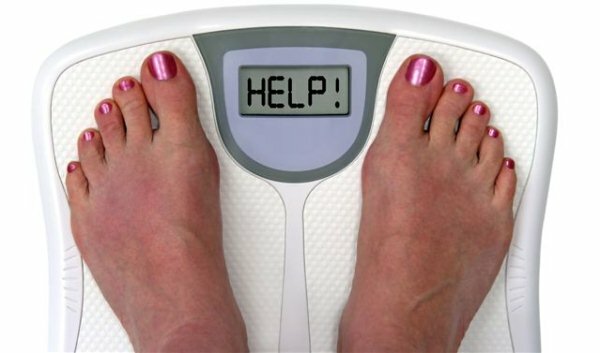 Any tips to lose weight faster or why it is not working. I track my calories using fitnesspal, and i triple check everything i eat before even eating it so I don't know what to do. I only want to lose 9 more pounds! So far every day I only eat 1000 calories!! I do drink 3 litres of water a day though... Thanks! Hi, I have a body fat percentage of 14%, this is what it says in your body fat calculator! Also, intermittent fasting and doing your workout are really working for me, I started losing weight again!! Adrian, I have mental and physical illness that has made me unable to work anymore. I feel like I’m finally on the right mix of meds to be more active. In 2004 I weighed 350lbs, had the Bariatric surgery. Down to 140lbs. Now 225lbs . Couple years after surgery I later fell ill, diagnosed w/several chronic illness. 2010 was diagnosed with mental illness. Placed on a mood stabilizer(started weight gain). My treatment includes steroids sometimes (more weight gain). Any changes to mood meds weight gain. Now 225lbs. Recently changed diet. No carbs and no processed sugar. Calories of 1500-1700 w/Fruits/veggies and protein. I have been more active in the last 3 weeks then I have been in such a long time so should be burning more calories. Unable to get off meds. 17 pills daily. Not losing weight. I was diagnosed w/thyroiditis since childhood. Not on meds for that. I didn’t know if you have dealt with this before and was there any success? Thanks Adrian for getting back with me. Water weight is a problem for me. I take a natural vegan water pill that doesn’t bother my IC. I have seen the dietitian at the bariatric center and they have no answers for me except pity. I’ve been to my primary doctor who says there is nothing that you can really do. My body is so effective by this meds that this past March I gained 22lbs in 2 weeks. I had an Upper GI that confirmed that my pouch is less then an inch wide, so I have not stretched my pouch out. I don’t want to be this heavy again. I have fought my whole life with my weight. I really can’t remember a time with me not being on a diet. My main goal is to not pin point a weight loss amount. I just want to be comfortable. I have a lot of loose skin that I’m sure makes me look bigger. But also to hopefully learn to control and manage my weight when my meds need to change. Any words of advice where I could start off? so are you eating just 700 calories a day? whats the 3000 aabout? Man do I need help. since my last daughter, (four years ago)I've been trying to lose the roundness in my gut and lovehandles. I really don't weight any more than before I had her, but the lovehandles are definitely where they weren't before. I track on cronometer and I stick around 1300-1500. I am limited on doing HIIT and such because of injuries, what can I do or what am I doing wrong? I'm 42 (female) and I gained 30 lbs in the last 2 years. I'm 5'3" and. Weigh 156. I yoyo with my weight every few years because I can't seem to maintain. But I always exercise 4 days a week with resistance training, and walk on incline treadmill while I read 30-40 min daily, or outside when it's nice. I have been tracking my calories on Fitbit for 5 days between 1350-1700 calories and weighed daily and my weight is EXACTLY the same. I'm worried because when I have done this before I always initially lose the first few lbs quickly. Do you think it could be my thyroid or something? since you're weight training, do you look slimmer althouhg the scale hasnt changed? What a great article! I’ve stick to 1200 kcal daily for almost one month now and only lost 2 pounds, and that was the first week. I’ve double checked all my intake via both MyFitnessPal and Lifesum and they are the same. I have pcos and are following typical “pcos tips” regarding lower carbs, higher protein but nothing happens. I’m 5,2 and 213 lbs so I should be able to lose weight on 1200 kcal. Any advice? I'm 22, I weight 132 pounds and my height is 5'. My diet has been the same for the past two years, since I suffer from stomach issues. I only eat about 1200 or less a day and excerise, yet my weight won't go down. I don't know if it's because I only walk on the treadmill or that I mostly eat the same meals everyday, but I need advise. Hi, this is Gade. I am 219 pounds. My height is 5.6". Can I eat 1200 calorie diet in my four hours diet window in order to lose weight faster. Hey, my name is Jose and I am 15, 5'10 and weight 290 and i don't know how to lose weight, can u help me? Hey, my name is Jose and I am 5'10 and weight 290 and i don't know how to lose weight, can u help me? Hi, I'm 16, 5"6 and weigh 143.3lbs, I ride horses and do basic exercises (squats, sit-ups etc.) and I have quite a balanced diet. I've gained quad muscle which I wanted but my inner thigh, waist and belly fat seems to be super stubborn to leave. I would love to be able to wear my size 8 jeans again (uk sizing) yet nothing seems to be working. Please help! Thank you :) do you think 1800callories are too much if my workouts are between 1.5 and 2hours? On relax days my intake is 1500cal. Should I reduce both? no. the less you eat = the faster you lose weight. 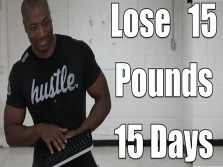 with your activity, at 1500-1800 you should lose weight on that alone. I need help I'm a 36 y.o. female I work out 5 days a week 1-2 hours those days, I do yoga/Pilates blend 2 days, high intensity cycling, body pump, Zumba, and if I can't get to class I lift weights. I've been doing this for 8 mths, initially I lost 12 inches and now have stopped losing or just fluctuating, I haved not been watching what I eat. I've tried calorie counting, Trim Healthy Momma, weight watchers, and after doing every one of these diets I get to about 10-15 lbs lost and just stop losing. Some back story is I had cancer 3 years ago but am currently cancer free and off meds, I had tube feeds that were very low fat I was only getting maybe 8-10 grams of fat a day for 3 mths, as soon as I was able to eat again I started gaining weight no matter what I did, I have gained 50 lbs in 3 years, I also have IBS-C so I can go days to a week where I won't normally move my bowels, I am on a probiotic which keeps me pretty regular but if my body decides to get weird then I have to take multi-enzymes in addition to the probiotic. I want to add a diet to my rigorous workout schedule but I'm so afraid I won't see results and will get so depressed, I have asked so many doctors for help and they don't seem to have any answers for me. I've also been tested for thyroid problems and everything was within normal limits. I'm currently 5'8 and 239 lbs. Help! I am 64,female, need to lose last 14lbs.already lost 2st on my own.genuinely can't exercise due to vertigo attacks caused by raised blood pressure. (Doctors Orders!) have a spreadsheet on which i track calories, carbs, fat, protein).Under 1300 cals daily/trying to stay on 50 total carbs or under daily. keep going up and down the same 2 pounds. I can not lose any weight.i eat 1500 cal or under a day. 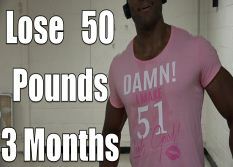 I do 30 min of 9 round ( kickboxing) 5 days a week and i weigh 300 +. Some advice plz!! How to track calories on fresh fruits and veggies?